Description: Mouse PAD2 (PADI2) is a member of the peptidyl arginine deiminase family of enzymes, which catalyze the post-translational deimination of proteins by converting arginine residues into citrullines in the presence of calcium ions. PADI2 has peptidylarginine deiminase activity against synthetic substrates. 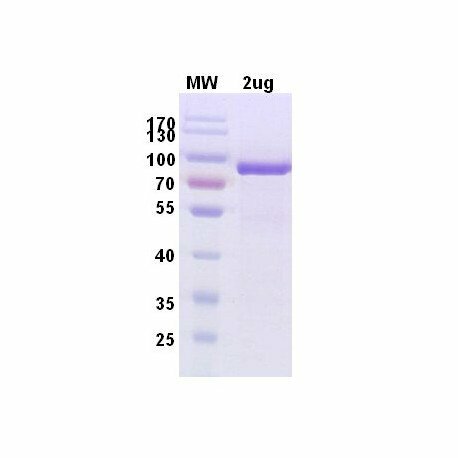 PAD2 is mainly expressed in the central nervous system, skeletal muscle, spinal cord, cerebrum, cerebellum, and submaxillary gland. Protein arginine deiminase type-2 plays a role in the onset and progression of neurodegenerative human disorders, including Alzheimer disease and multiple sclerosis, and it has also been implicated in glaucoma pathogenesis. 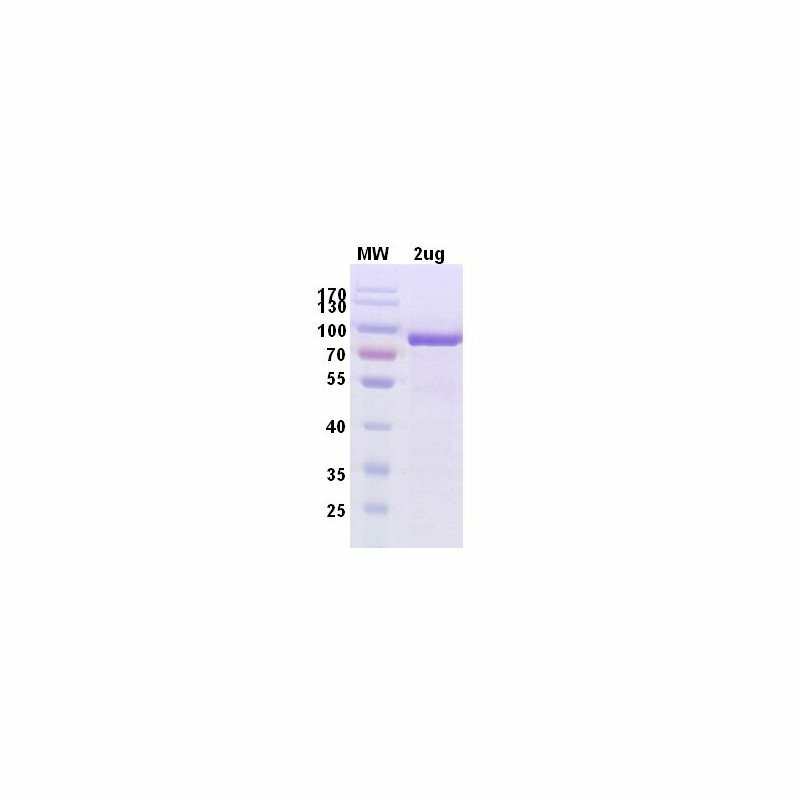 Eukaryote expression systems and more specifically Insect cells are used at ProteoGenix to produce mouse PAD2 recombinant protein with appropriate post translational modifications. 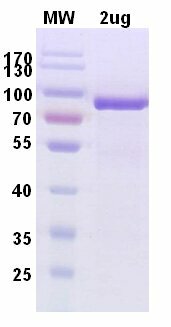 Biological activity: Calcium-dependent critrullination activity of the recombinant PAD2 was confirmed with Fibrinogen as substrate (detection of critrullinated fibrinogen by ELISA). Publications: 1. F. Arnoux and al (2017). Peptidyl arginine deiminase immunization induces anticitrullinated protein antibodies in mice with particular MHC types.